This remarkably modern and versatile armless chair celebrates streamlined contemporary elegance. Designed in Barcelona by Josep Llusca and produced by the Resol Group in Spain, the Netkat Chair will deliver a European flair into any commercial or residential space. Expertly crafted of fiberglass and polypropylene, this piece is easy to care for and built to last. Select a color to enhance your d�cor. How much weight will this chair hold? thanks. 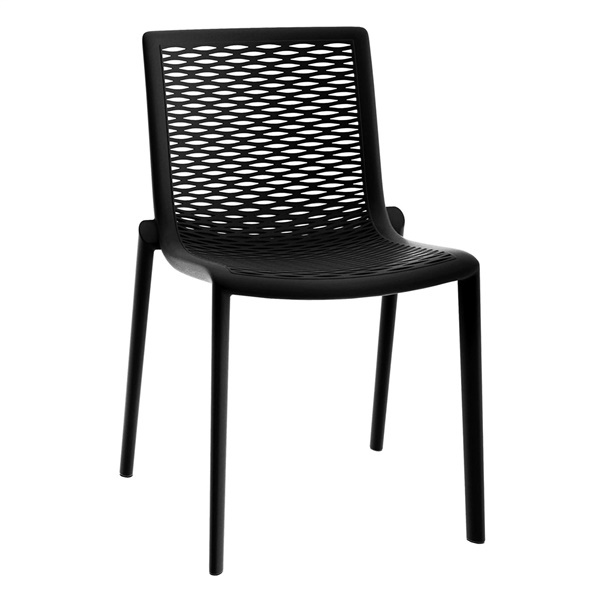 The Netkat Chair is suitable for both residential and commercial use, and is rated with a weight capacity up to 250 lbs.